Jingchen is a Professor of Law and Co-director of the Centre for Business and Insolvency Law at Nottingham Law School. He is the Athena Swan Champion and Grant Champion for the Law School. He supervises PhD students working on projects in corporate law, corporate social responsibility and corporate governance. He teaches in the areas of corporate law, international commercial transactions, corporate governance, corporate social responsibility and securities regulation at both undergraduate and postgraduate levels. Jingchen holds a doctorate from the University of Manchester. He has taught at several UK universities, most recently at the University of Leeds, where he specialised in corporate social responsibility, corporate law and corporate governance. He joined Nottingham Law School in May 2018. Jingchen’s research specialism is within corporate law, corporate social responsibility and corporate governance, and he also contributes to research in the areas of insolvency law, Chinese law and financial law. His research specialism extends from general aspects of business law to interdisciplinary areas such as law and finance, modern slavery and supply chain management. Much of his current research concentrates on filling the gap in research on the legal aspects of corporate social responsibility, law and finance, law and development, shareholders’ rights and corporate governance. His most recent research has focused on board accountability, shareholder litigation, regulating corporate social responsibility and extraterritorial attempts at addressing sustainability challenges. He has published a number of articles in high quality journals including Legal Studies, the Hong Kong Law Journal, the Northwestern Journal of International Law and Business, the Journal of Corporate Law Studies, the European Business Organization Law Review, the Journal of Business Law, the Hasting Business Law Journal, the Catholic University Law Review,the Brooklyn Journal of Corporate, Financial and Commercial Law, and the Northern Ireland Legal Quarterly. He is the author of Corporate Social Responsibility in Contemporary China (Edward Elgar 2014) in the ‘Globalisation, Corporation and the Law’ series. Jingchen’s research has been supported by research grants from the ESRC, the Social Science Foundation of China and the Natural Science Foundation of China. 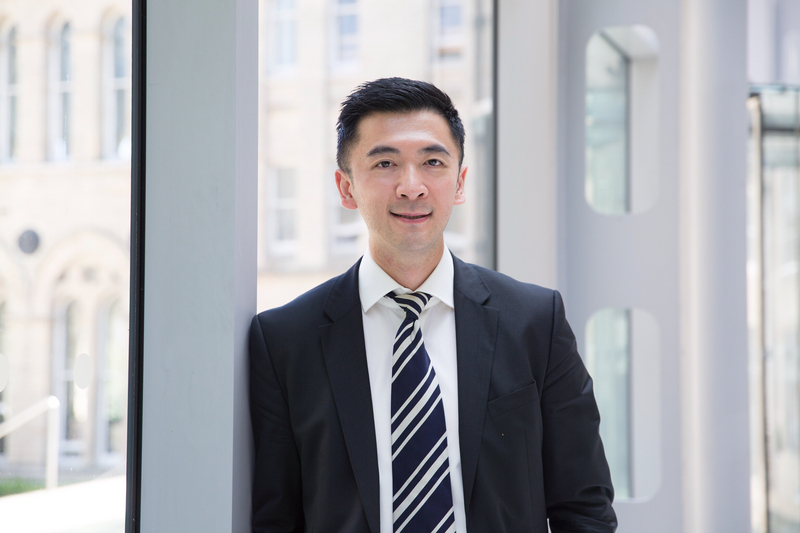 He is currently involved in a three-year project funded jointly by the ESRC Newton Fund and the Natural Science Foundation of China entitled ‘Boosting Growth through Strengthening Investor and Creditor Protection in China: How China can learn from the UK Experience’. Jingchen is a Fellow of the Higher Education Academy. He acts as the external examiner for Aston Law School and Westminster Law School. He has acted as external examiner for the University of Manchester, the University of British Colombia, King’s College London, Newcastle University and Deakin University at doctorate level. Zhao, J., ‘Extraterritorial Attempts at Addressing Challenges to Corporate Sustainability’ in B. Sjåfjell & C. Bruner (Eds. ), Cambridge Handbook of Corporate Law, Corporate Governance and Sustainability. Cambridge: Cambridge University Press (2019). This article has been reproduced as Zhao, J., ‘The Harmonious Society, Corporate Social Responsibility and Legal Responses to Ethical Norms in Chinese Company Law’ in J. McEldowney & S. McEldowney (eds) Environmental Regulation (Cheltenham: Edward Elgar 2014) ISBN 978 0 857938206, Chapter 30.